It is here! 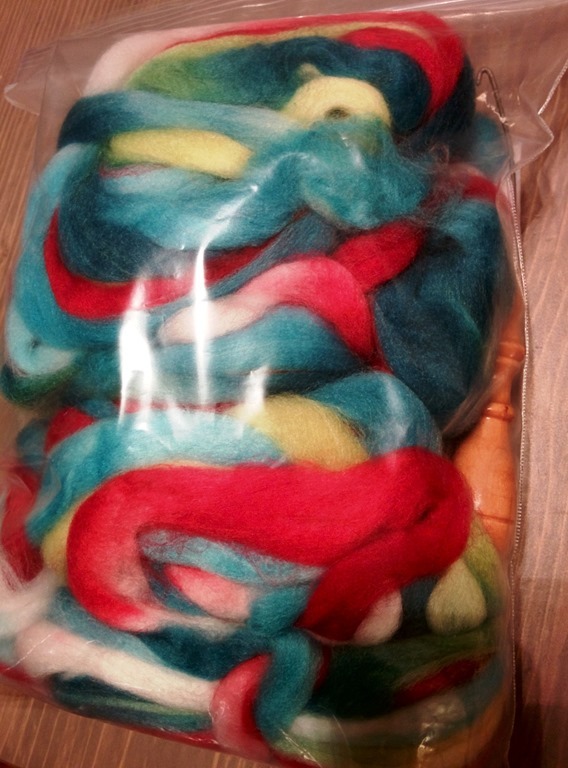 Spinzilla 2014 officially kicked off this morning at 12:01 AM. 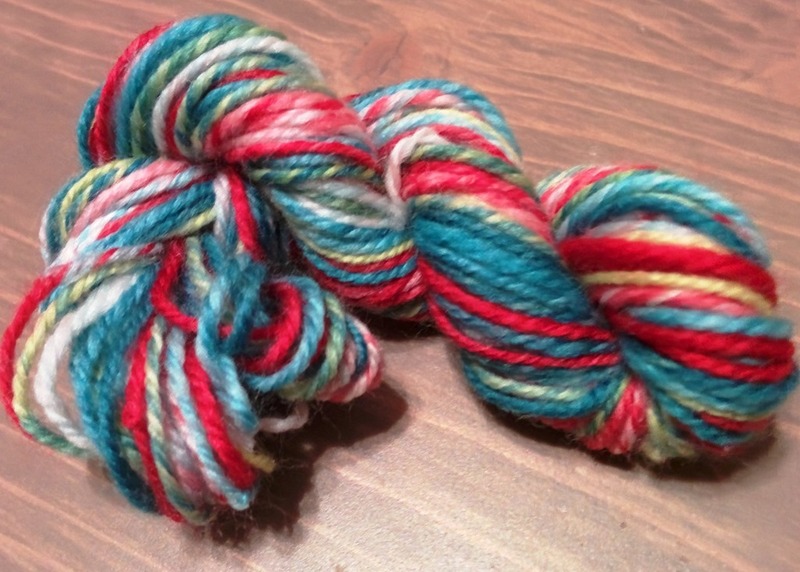 I had the opportunity to prep all of my fibre last week – it was actually really fun to go through my stash and see what I had. I decided to approach it by choosing fibre that really inspired me, rather than the fibre that I ‘should’ spin. An example is this Malabrigo Nube I’ve been working on for what feels like forever. Since I am spinning with Team Sweet Georgia Yarns, I thought I would start with July 2014’s fibre club. It was called ‘Strawberry Season’ and I have done a small sample spin already so that I have something to reference as I speed through the first braid (I have a total of 200gm or two braids). You can see the little Navajo-plied sample hanging off my uptake peg! This year, participants can ply their yarns but I’m not sure I’m going to. Unless I can get enough spun to ply a traditional 2-ply, I am faster at spinning singles but we will see! Anything can happen in the next 6 days (!!!). Are you participating in Spinzilla? 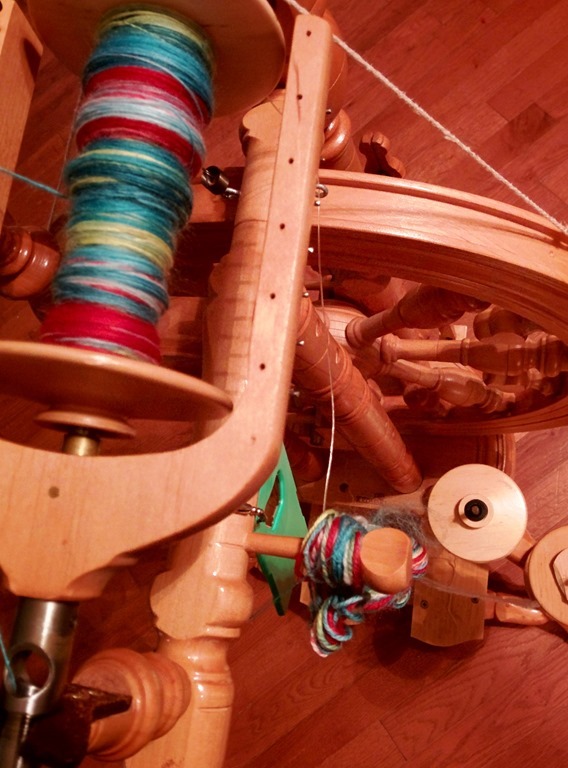 What is your default and/or fastest yarn to spin? Previous Post and then there were socks galore. Beautiful spinning so far! Love it!